This stunning girl is Airi. Airi is a sweet little girl. 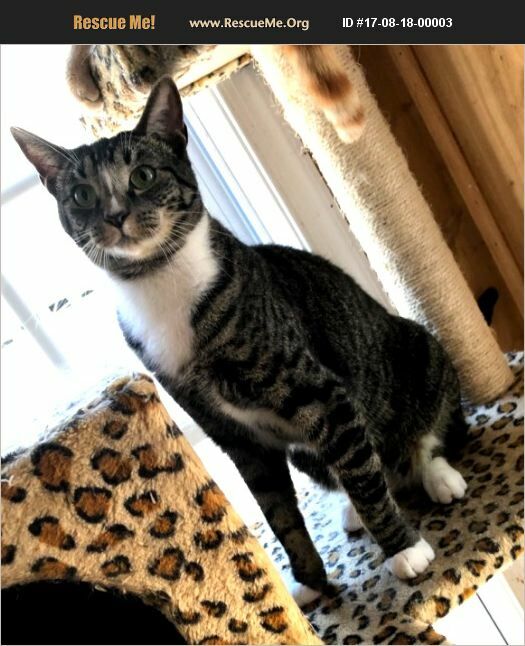 She is 8 months old, very loving, wants to be held and petted, loves other cats, likes company, and ok with dogs. Airi is spayed, microchipped, vaccinated, FeLV/FIV tested, dewormed, and current on Revolution flea prevention. Please contact us for an application or complete one through our website. Adoption fee applies. Indoor homes only. No declawing.